We have all been there: a once spacious disk gets overflown with useless files when there is a need to save important staff. The struggle is so real. Of all the factors that contribute toward the reduction of free hard drive space, duplicate files are, probably, the most important one. For one thing, it is not that easy to maneuver around identical files in an attempt to find a needed audio track, for another thing, when free space is almost finished, a Mac becomes painfully sluggish. It really helps if you buy and download professional duplicate cleaning software from Mac App Store. After the activation, such apps can be run in either free or full version to identify and delete identical files from your iTunes library. However, trial versions of cleaning utilities usually have limited features, which makes their use less efficient and pleasurable. This article reviews DupeAway by Macroplant and its alternative Tune Sweeper 4 by Wide Angle Software. Make a right choice of a cleaning utility based on features that matter to you the most. What is Dupe Away 3 and Tune Sweeper? Dupe Away is a lightweight and affordable app for removing dupes from your Mac. Given that iTunes 12 has been around for several years, chances are there are many items that show up several times in a user’s library. 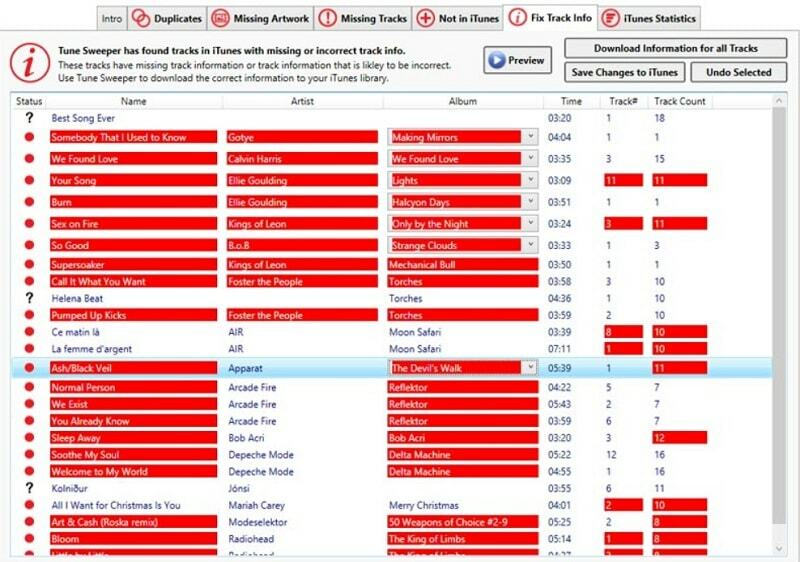 Abandoned tracks can be discovered with the help of the Show Exact Duplicate Items feature of iTunes. However, it doesn’t always work for playlists that have external references. 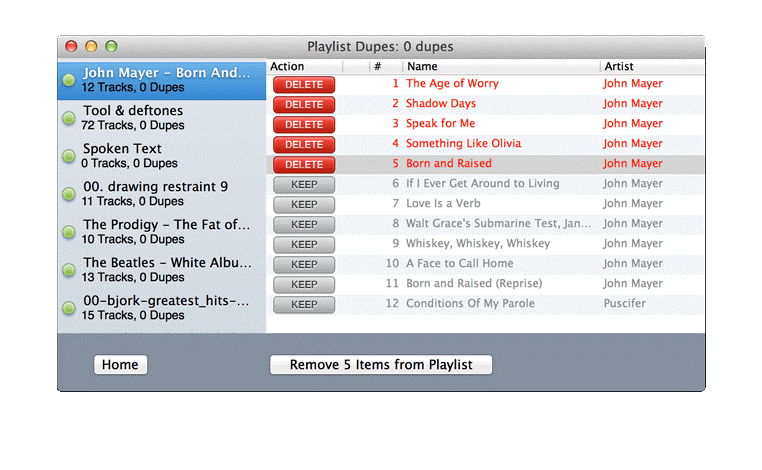 Dupe Away helps to declutter iTunes and remove duplicates based on user preferences. The app will be appreciated by those Apple aficionados who have noticed that the search function of their iTunes is not responding. Additionally, it is also more useful than the built-in capabilities of the media library since it helps to detect files that are rarely listened to by a user. Another helpful feature of Macroplant Dupe Away is the ability to remove dead tracks. After installing the utility, you will no longer have to listen to the identical tracks back-to-back or see the frustrating “file not found” message. Another way to prune the sizable collection of audio files in iTunes is to install Tune Sweeper. Just like its counterpart, the program can be effectively used to scan the iTunes library and remove duplicate audio files. Tune Sweeper tells apart the tracks stored on the iCloud and a device, which helps to keeps only useful files. The app has a nifty function that distinguishes it favorably from the competition – missing artwork download. Those who hate it when their iTunes library shows a generic music note instead of proper artwork will absolutely love this feature. Another feature, which is notably absent in Dupe Away but is present in Tune Sweeper, is the ability to fill in missing track details. It is accomplished with the help of the advanced fingerprinting algorithm of the app. 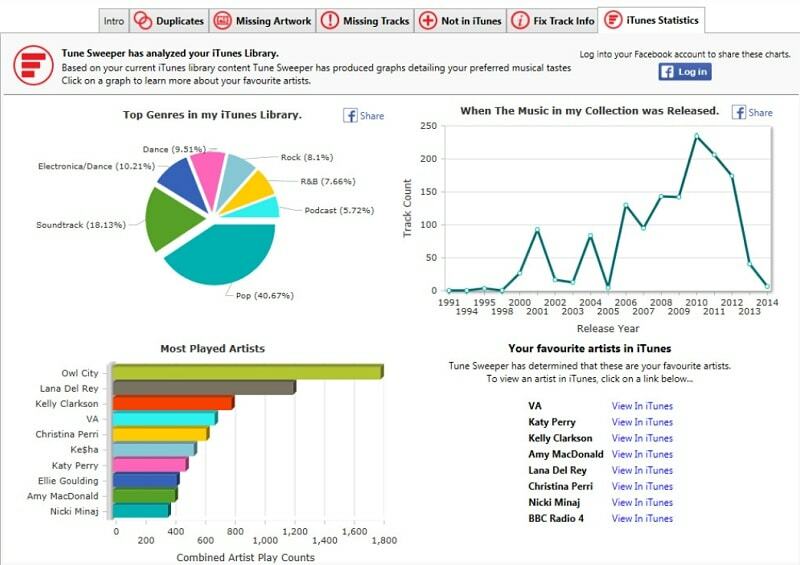 Furthermore, Tune Sweeper analyzes listening habits of a user and provides them with interesting statistics such as most played artists and top genres in the library. How to Use Tune Sweeper and Dupe Away 3? 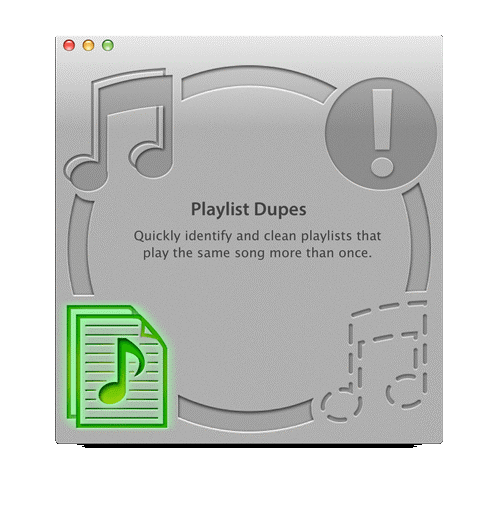 It is extremely easy to remove iTunes duplicates with the help of Macroplant Dupe Away. Start by downloading the latest version of the app (3.0.9) from the vendor’s website or MacUpdate. Then, open the app, which will initiate an automatic scan of all iTunes Playlists. After the stop of the search, however, the cursor over an icon with a music note to see how many duplicates were found. Click on the Delete button in a pop-up window to confirm the deletion of duplicate files. If you have iTunes 12.1 or an earlier version, don’t worry the app has legacy library XML support. It works perfectly on macOS High Sierra and never freezes on the previous versions of macOS. To start using the latest version of Wide Angle Tune Sweeper (4.14), download it from the official developer’s page or Mac App Store. Launch the app and use the Search for Duplicates button to initiate the scanning process and find duplicates. After the search is finished, the app will show you a list of duplicate songs. Select which audio files you want to keep and use the Remove Duplicates button to get rid of the rest. Note that the app allows a user to set selection preferences, thereby fine-tuning the removal process. For example, it is possible to delete only demo files with the lowest quality or shortest duration. Have you encountered an exclamation point next to a track in iTunes? Whenever you try to play such song, the media library shows an error message informing you that the file no longer exists. Don’t worry; it is not a sign that iTunes crashes or malfunctions. It simply contains links to audio files that have been removed from a drive. Fortunately, Tune Sweeper iTunes original file could not be found error can be solved. Just click on the Remove All Missing Tracks button on the Missing Tracks tab. Similarly, use the Fix Track Info tab to find the missing back info about tracks in the library. Even though the function is somewhat slow, it works seamlessly. Is Tune Sweeper Safe? And How About Dupe Away? Both Tune Sweeper and Dupe Away are legit apps that will not cause any harm to your Mac. To ensure that app installers do not contain any malware, they have been scanned with an antivirus. The results of scanning have confirmed that the duplicate finders are completely safe. How to Uninstall Tune Sweeper and Dupe Away? To remove Dupe Away from a Mac, simply drag and drop it to the Trash. Note that the action will not remove the installation package. It should be removed separately. The same applies to Tune Sweeper. To delete all files associated with the apps, it is recommended to use a third-party cleaning utility. After testing the two apps, we’ve come to the conclusion that Tune Sweeper is the fastest and easiest option for removing duplicate tracks from iTunes. Although the app is costlier than its counterpart ($24.99 vs. $14.99), it does the much better job at keeping duplicate files away from the music library. However, it should be conceded that Dupe Away has cooler interface than its competitor.